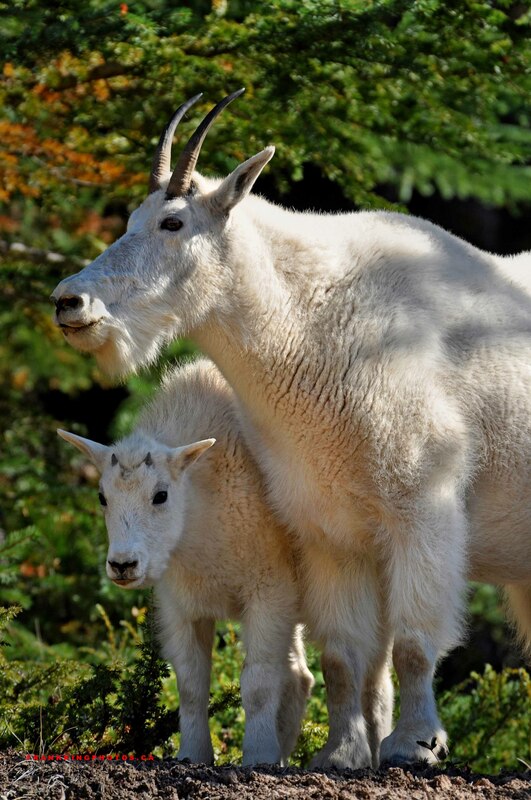 Mountain goats tend to be shy – in fact, in all my years photographing in the Canadian Rocky Mountains, this is only the third time I’ve made pictures of these wonderful creatures. In this case, a group of a dozen goats and little ones were hanging out along the Icefields Parkway. I must have made 50 or more pictures during the half-hour we hung out. It was amazing. 🙂 Nikon D90, 70-300 mm. lens.